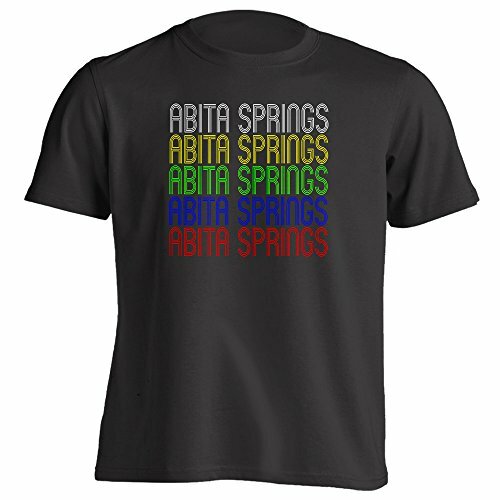 Show off your home town pride by wearing this unique retro style ABITA-SPRINGS tee shirt. Tell the world how much you love Abita-Springs, LA by wearing this comfortable vintage style t-shirt. This clever shirt makes a great gift to give for Birthdays, Christmas, Mothers Day, Fathers Day, or just for the heck of it. Perfect as a gift for someone who is here or as a souvenir for someone who was just visiting. PROUDLY PRINTED IN THE USA. This is not an unauthorized replica/counterfeit item. This is an original inspired design and does not infringe on any rights holders rights. Words used in the title/search terms are not intended to imply they are licensed by any rights holders. Please note Ash grey is Ash 98% cotton/2% polyester, and Heather grey is Athletic Heather 90% cotton/10% polyester. The design is printed with new age garment printing technology, direct-to-garment. It is printed with water-soluble, eco-friendly ink. It is cured with a heat treatment process to ensure the color-fastness and lasting durability of the design. It is machine washable and the fabric is preshrunk which makes the fabric less likely to shrink. Printed on premium: High-density fabric for exceptional print clarity - Seamless 1x1 rib collar with two-needle cover stitching on front neck - Shoulder-to-shoulder taping - Two-needle hemmed sleeves and bottom - Quarter-turned to eliminate center crease. Care Instructions:For best results wash inside out in cold water, dry on low or air recommended. Chive is offering a unique way to showcase your air plants. Each item is 2" and can hold a small to medium size air plant. The base is a suction cup and can be affixed to any clean glass or mirror surface. Simply plop your air plant between the spokes and bring plants into zones in your house that you never previously thought you could sneak them into. 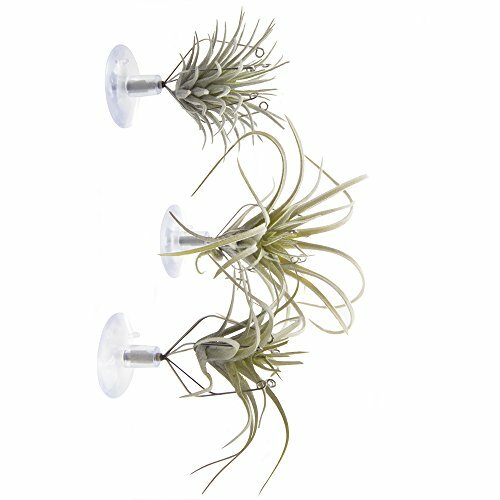 In the wild air plants grow off tree trunks and the Chive Suction Cup Air Plant holders mimic the natural environment for your indoor air plant by keeping them up in the air. Your air plants will love this new way of being displayed because it ensures proper air flow around the plant. It also exposes the full plant to the indirect light that they love and crave. Depending on the humidity or dryness of your home, remove the plant from the prongs every 1-2 weeks and soak them in lukewarm water for 15-20 minutes. Unlike most plants that drink via a root system, air plants drink through tiny openings on their leaves. The core / guts of an air plant can get rotted out so it's best to let them dry upside down for a few hours so that the water doesn't pool in that area and instead drains down and off their leaves. Once it's no longer dripping wet, simply pop the plant back into the holder.